MainGate, the premier event retail and merchandising company in the country, has entered an exclusive partnership with Drum Corps International (DCI), to manage the organization’s e-commerce and event retail merchandise business across the United States. 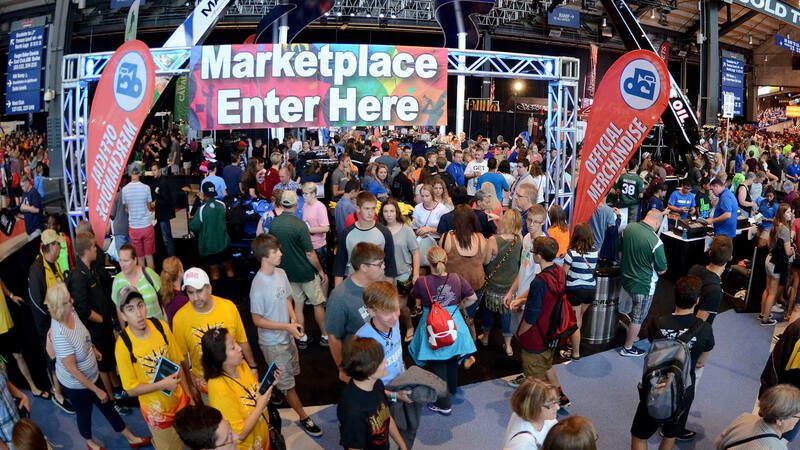 Under the agreement, which commences on March 1, MainGate will focus on developing and selling a complete new line of officially licensed DCI merchandise at 15 key events across the country. The new product line will include headwear, T-shirts, sweatshirts and novelties designed for corps participants and fans. In addition, MainGate will design and maintain a new e-commerce store for DCI that will launch at the beginning of March. Current MainGate merchandise partners include three NFL teams (Washington Redskins, Minnesota Vikings, Tennessee Titans), Indiana Pacers, United States Bowling Congress, Big Ten Football and Basketball Championships, NCAA, KobeBryant.com, Professional Bull Riders, and NHRA, among others. MainGate has served as a retail partner for the NFL at Super Bowl XLVI, XLVII, XLVIII, XLIX, and Super Bowl 50. The Indianapolis-headquartered company employs more than 300 full-time and part-time workers, operates 10 retail stores in five states, designs, operates and maintains more than 20 e-commerce sites, and administers retail sales at nearly 200 events across the country each year. MainGate also manages NFL game-day operations at FedExField in Washington, D.C., U.S. Bank Stadium in Minnesota, and Nissan Stadium in Nashville. The Biggest Sale in DCI History Begins Now! To prepare for the transfer of manufacturing and fulfillment to MainGate, Drum Corps International must liquidate its current warehouse inventory, which means BIG SAVINGS for fans of Marching Music’s Major League. Prices on DCI’s current stock of apparel, audio and video titles, collectibles, and more, have been slashed by as much as 55 percent, marking some of the biggest savings ever offered in our 45-year history. Hurry! Sale prices will only be offered while supplies last.